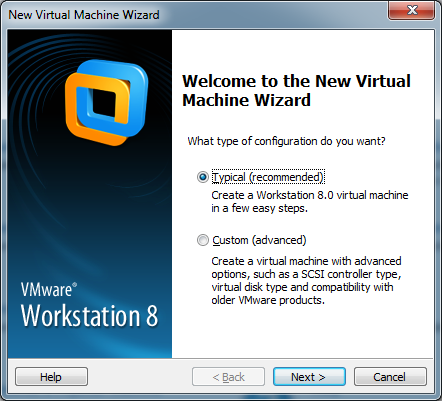 In this series of blogs I am going to share my experiences and few best practices when it comes to installing and configuring a LINUX, in this case, a CentOS VM using VMware Workstation 8. NOTE that these steps can well be used to install any LINUX VM on vSphere platforms as well... just the tuning with respect to the class of OS changes then.. like Debian, or Red-Hat..
Now there are two ways of installing a VM using VMware Workstation.. first; there is something called as Easy Install which assumes certain criteria for installing the OS and provides a quick way to complete the OS installation.. but i am going to avoid that and install the OS manually. 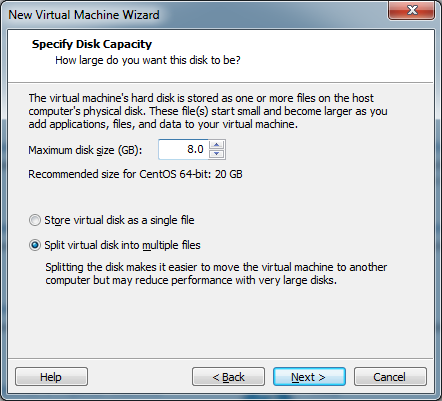 In this way, i can specify the Partitioning tables for my CentOS as I want it. 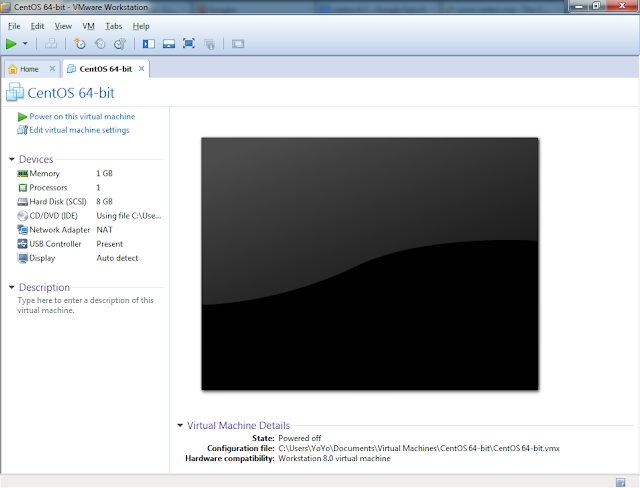 Specify 8 GB as the Disk Capacity.. we don't want to provide a lot of Disk unnecessarily.. 8 GB is enough for installing any LINUX OS.. We will show you how to attach a HDD to the VM in our PART 3 of the series..
Click Customize Hardware to mount the CentOS ISO File manually and do other bit of "cleaning up" !! NOTE: CentOS 6.3 comes with two DVDs. In this case, provide the FIRST DVD here. Choose skip media test as it may take long time to check media. CentOS 6.3 Welcome Screen press Next. Select Basic Storage Device if your hard drive is attached locally. 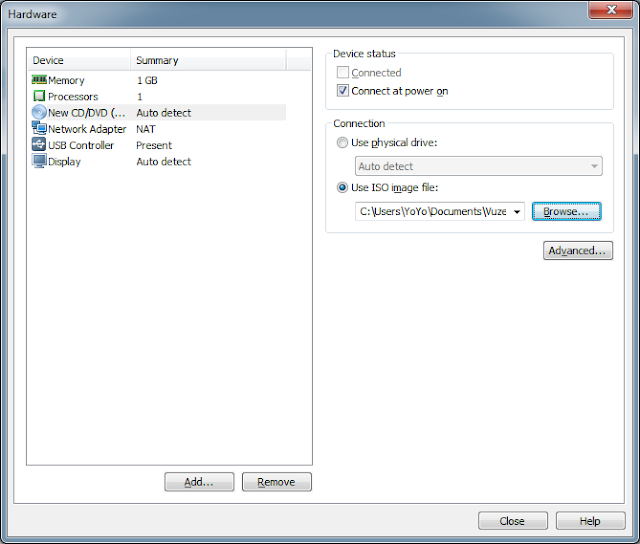 You can select Specialized Storage Devices if you are adding a device such as SAN, FCoE, iSCSI etc. You may get Storage Device warning, you can click Yes, discard any data button to Continue. Give a root password. Avoid using a dictionary based password. 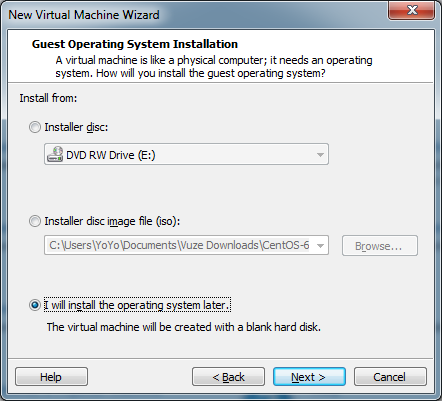 Similarly, create a SWAP Partition. The size of the SWAP Partition depends on how much RAM is provided to the VM.. in this case, the VM is provided with 1 GB RAM.. hence we are providing SWAP 1024 MB..
You can provide the remaining space (using the option: Fill to Maximum Allowable Size) to the ROOT (/) Partition as shown.. The ROOT partition houses the installation of your CentOS System.. The completed Partition Table will look something like this. NOTE: This is a minimalistic Partition Table. You can create advanced Tables by providing various options such as Volume Groups, Physical Drives, etc. 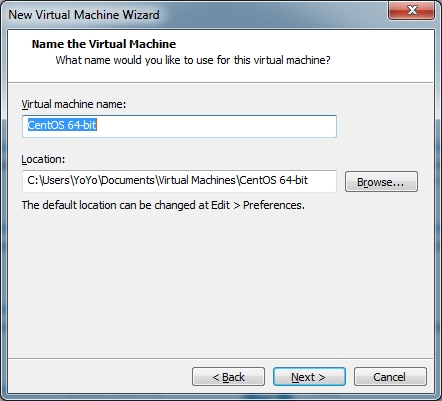 To install packages that you may want in your OS, you can select the Customize Now option here. Click Next if you want to stick with the default Packages installation. You can choose to enable Kdump if you want. Kdump is a kernel crash dumping mechanism and is very reliable because the crash dump is captured from the context of a freshly booted kernel and not from the context of the crashed kernel. Kdump uses kexec to boot into a second kernel whenever system crashes. This second kernel, often called the crash kernel, boots with very little memory and captures the dump image. 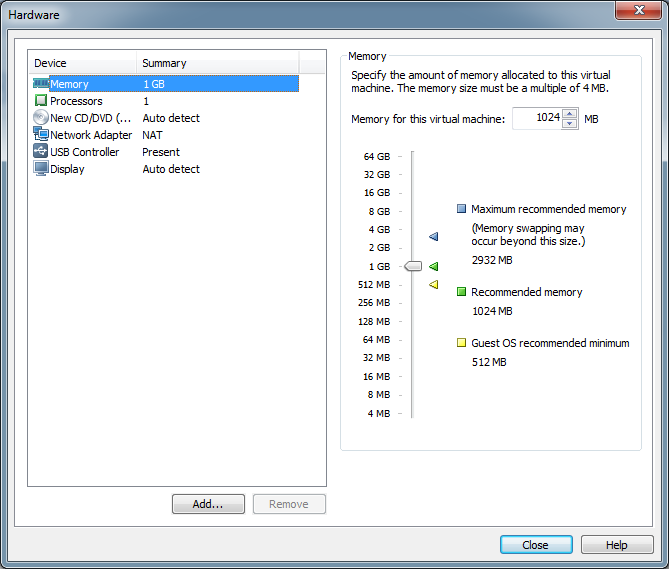 NOTE: If you assign 1 GB RAM or less to your VM, Kdump will not be enabled for your CentOS as there is insufficient memory for Kdump to work. NOTE: In case you have assigned more than 2GB RAM, the KDump will be enabled by default. If you make any changes to Kdump's values, you will have to reboot CentOS. IMP: Since you logged in as root, you will be prompted a warning stating you are running the CentOS as a Super User. You can ignore this message if you fully understand the super user roles and responsibilities. If you don't, the I strongly suggest you use the User (cloud) that you created in the Post install steps. This user does not have super user abilities by default. 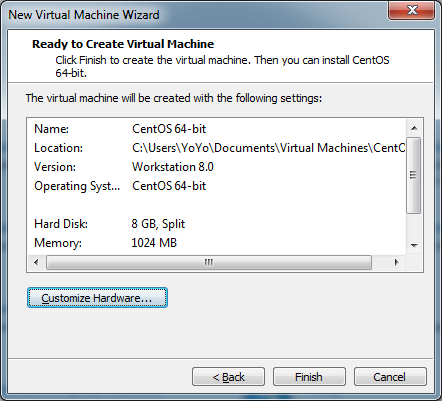 Your CentOS is ready to use! Congratulations !! Its good for new lerner. 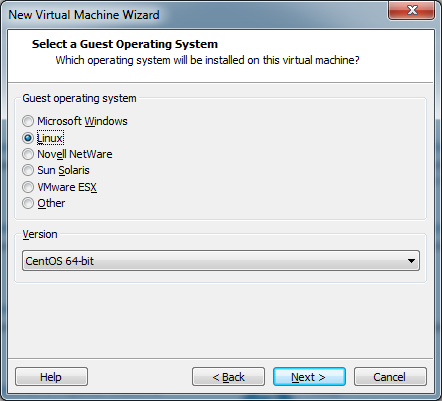 I like this article very much as it shares the complete information regarding the procedure for installing the CentOS VM on VMware Workstation. I followed the above given procedure and it really worked for me.